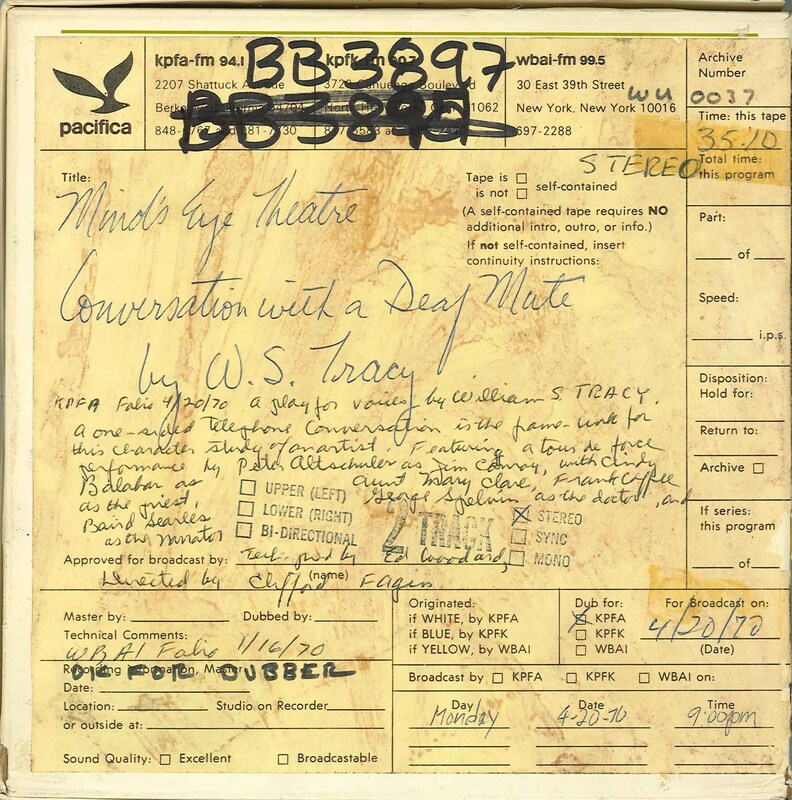 A play for voices by William S. Tracy. A one-sided telephone conversation is the framework for this character study of an artist. Featuring a tour de force performance by Peter Altschuler as Jim Conroy, with Cindy Balabar as Aunt Mary Clare, Frank Coffee as the priest, George Spelvin as the doctor and Baird Searles as the narrator. Technical production by Ed Woodard. Directed by Clifford Fagin. This recording was formerly cataloged as BB3897.